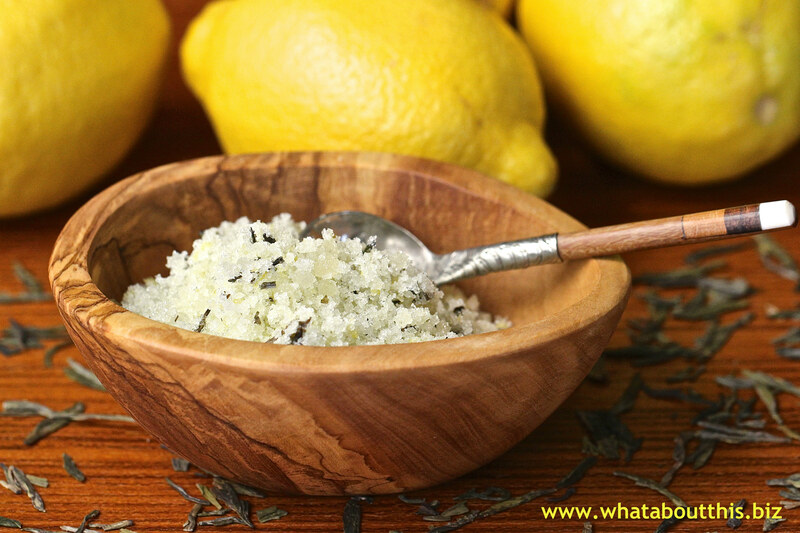 Lemon Tea Sugar Scrub | What about this? Cold winds, dry heat, yard work, cooking, cleaning, etc. all contribute to making your skin rough and dry. Without spending a fortune and in only a few minutes, you can make a deliciously moisturizing scrub for your face and body. Keep containers of this wonderful scrub near your kitchen and bathroom sinks or your shower stall for whenever your skin needs a little tender loving care. To give away as gifts, put the scrub in cute jars, add labels, and tie on little spoons or scoops. Its fresh natural fragrance appeals to both guys and gals! 1. Grate your lemon rind and set aside the zest. 2. In the large mixing bowl, combine and mix the sugar, Epsom salt, and loose tea (just rip open the bags and sprinkle the leaves in). 3. Add in the olive oil and mix. 4. Add the honey and combine well. 6. Mix everything in the bowl, then fill up your container. 1. Instead of using tea bags, I used loose-leaf green tea that I had at home. I estimated the amount of leaves that would be contained in three tea bags and I crumbled them into a bowl. 2. The next time I make this, I think I will try using a lemon-infused olive oil. 3. Little jars of this scrub make lovely hostess gifts or party favors.